Yesterday was Arizona's 107th birthday! Sharing a photograph from one of the national parks in Arizona seems like a perfect way to celebrate! 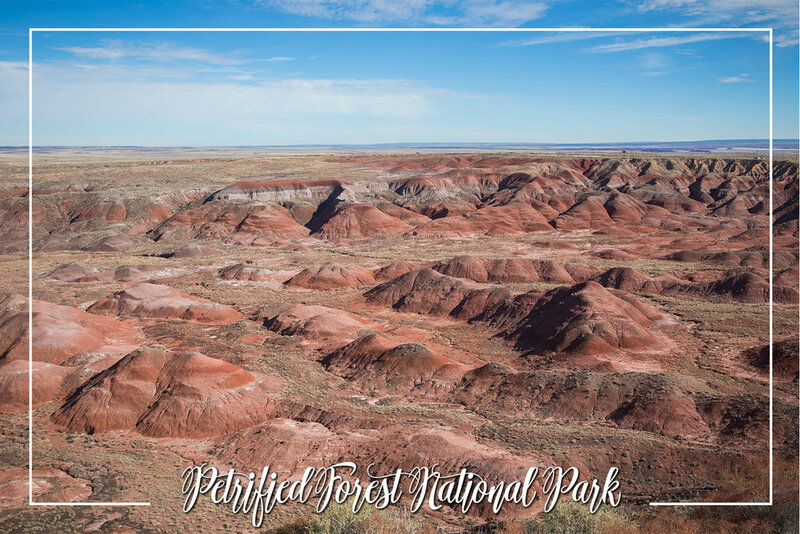 The Painted Desert is located in the northern part of Petrified Forest National Park. The hills are so vibrant and the colors of the sedimentary layers change throughout the park! Petrified Forest is one of three national parks in Arizona. I visited over three years ago, while on an epic cross country road trip with my best friend. I drove coast to coast, and we saw some really amazing places on our trip, with the Painted Hills being one of my favorites.